Take for instance, the Palo Alto-based Orbital Insight – a company that specializes in satellite imagery analytics to provide business insights. Using commercially available satellite images and machine learning, the company has analyzed 60 different retail chains to assess their performance just by looking at how the parking lots have shifted each day. To predict retail sales based on retailers’ parking lots, humans at Orbital Insights use Google Street View images to pinpoint the exact location of the stores’ entrances. Satellite imagery is acquired from a number of commercial suppliers, some of it refreshed daily. Orbital Insights CEO, James Crawford, says this sort of analysis has helped them show Home Depot is busier than Lowe’s, or that Chipotle is getting popular – all of this just from the satellite imaging, without any insight from the companies themselves. This is just the icing of a new field that promises to deliver economic trends based on satellite imaging. 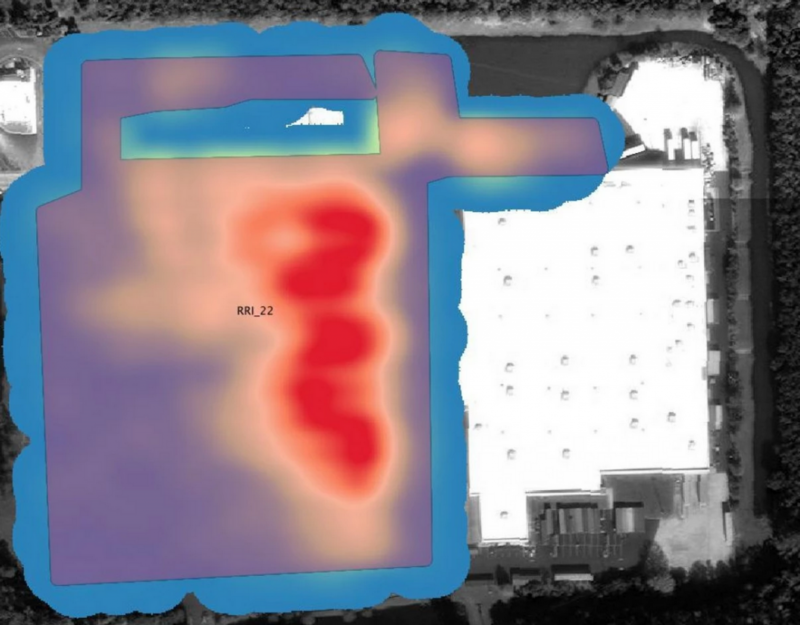 A heat map made by Orbital Insight showing the activity in a retailer’s parking lot. There’s of course much more to it than just counting cars in a retailer’s parking lot. Another ingenious way to expose a trend is measuring the shadow cast by buildings to gather information about the rate of construction of buildings. In China, Orbital Insights is using this method to study the country’s infamous ghost towns – brand new cities made from the ground up complete with everyone would ever wish for: municipal buildings, living quarters, cultural theaters, shopping malls, etc. Everything, except people. More broadly, Orbital Insights confirmed something analysts have forecasted for a while: that Chinese construction has indeed slowed down. 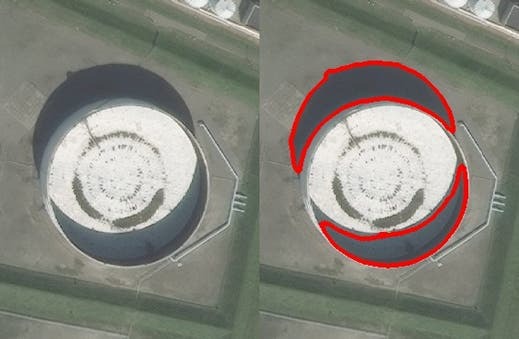 Satellite images could also predict oil yields before they’re officially reported because it’s possible to see how much crude oil is in a container from the height of its lid. “Then it’s not an image anymore—it’s some sort of measurement,” Crawford says. 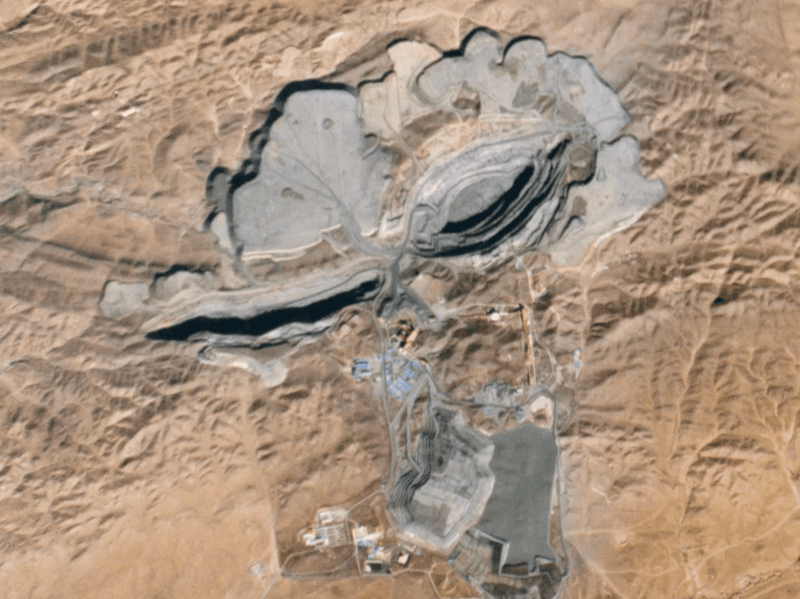 Another company, called Planet Labs, is taking a slightly different route to imaging analysis. The company measure different wavelengths of light to calculate the actual amount of plant material in a field as well as the plant strain itself. It’s quite likely that sometime in the future, we could calculate how many crops and what’s their yield in the whole world. This sort of information is quite powerful and may be a lot more accurate than collecting individual reports from all over the world. Investors are particularly interested in this sort of technology, since the information is harder to fake. 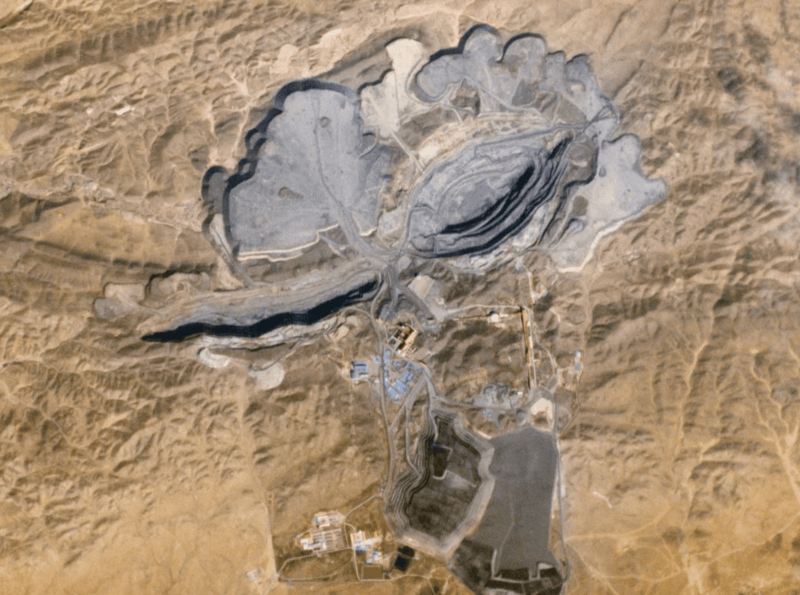 In the image below taken by Planet Labs, you can see how a gold mine in northern China changes between September and October. An astute investor could use this information, coupled with some supplementary data fed by algorithms that put the pics into context (how many trucks are leaving the mine each day, how much material is being displaced) to assess whether or not the mining operation is truly profitable or not. Papers, notes and income can be fabricated, but the real activity is harder to hide. As more and more satellites are deployed in space, and as space launches get ever cheaper, expect this sort of tech to soar. Imagine what you can do if a patch of ground is imaged 15-20 times a day. The data would be incredibly valuable.